President Trump has reportedly signed an executive order this week that will directly affect the skilled worker visa program. His “Buy American, Hire American” order has regimented a review of the H-1B visa program in an ongoing effort to revamp the immigration system and ensure that “H-1B visas are awarded to the most-skilled or highest-paid petition beneficiaries.” This executive action is directly inline with his administrations heavily emphasized commitment to “protect the interests of U.S. workers” and is designed to return the H-1B visa program to its original intended function. While the new order will not make immediate changes to the program, it will put in place a long-term review that the administration is hoping will clean up a heavily abused system that they are currently calling “inoperative”. There have reportedly been complaints, specifically from the tech industry, stating that a large number of the visas awarded each year are allegedly taken by outsourcing firms that hire lower-skilled workers, and thus preventing firms from getting visas that could be used for higher-skilled applicants. According to the senior administration officials, the review of the H-1B visa program will hopefully be successful in identifying and trouble-shooting some of these long standing issues in order to shift the process for awarding visas while putting a higher priority on higher-skilled and higher-paid workers. They are also hoping that their efforts will make it significantly more difficult to use the program as a way to replace American workers as a whole. Currently, it is unclear as to what changes will eventually be made or how this order will affect the H-1B visa program in the long-run, but as expected, there are many who are questioning the approach. With the current administrations track record thus far, critics are left wondering if this executive action will result in another heavy-handed regulation put forth to keep workers out, rather than improve the system. Based on the fact that high skilled, immigrant workers are a huge contributing factor to the U.S. economy there are high hopes that the H-1B rules can be better enforced and the system can be improved in such a way that those deserving, can continue to benefit. The Minister of Citizenship and Immigration, pursuant to section 10.3 of the Immigration and Refugee Protection Act, gives the annexed Ministerial Instructions Respecting Invitations to Apply for Permanent Residence under the Express Entry System (April 19, 2017). 1. (1) For the purposes of paragraph 10.2(1)(b) of the Immigration and Refugee Protection Act, the number of invitations that may be issued during the period beginning on April 19, 2017, and ending on April 20, 2017, is 3,665. (2) Foreign nationals who, on April 19, 2017, at 12:23:45 UTC, have been assigned a total of 415 points or more under the Comprehensive Ranking System that is set out in the Ministerial Instructions Respecting the Express Entry System, as published in the Canada Gazette, Part I, on December 1, 2014, and as amended from time to time, occupy the rank required to be invited to make an application for permanent residence. With the decision to abolish the controversial 457 visas and replacing it with two new visas, the Department of Immigration and Border Protection has also cut the list of eligible occupations for the general skilled migration. The Skilled Occupation List that was the guide for nominating an eligible occupation for applying for skilled visas, has now been reduced to 435 occupations, down from 651. The SOL has been replaced by the Medium and Long-term Strategic Skills List (MLTSSL) which has 216 occupations, including Actors, Authors, pilots, biochemists, firefighters, flying instructors, conveyancers etc cut from the previous list. Applicants applying for General Skilled Migration under visa subclass 189 are now required to nominate an occupation from this new list. Temporary graduate visa applicants (under subclass 485) will also nominate an occupation from this list. Replacing the SOL with MLTSSL in effect will tighten the eligibility criteria not just for 457 visa applicants, but also those looking to migrate to Australia under the General Skilled Migration Program. Melbourne-based immigration consultant Sooraj Handa says the truncated list will significantly tighten the eligibility criteria of those applying for not just under employer-sponsored subclasses but also general skilled migration. “The new list has many occupations dropped from the SOL. This obviously means lesser people will qualify under the new rules,” Mr Handa told SBS Punjabi. However, another registered migration agent in Melbourne, Jujhar Bajwa says his clients will not be greatly affected by the changes. “Most of the occupations dropped from the SOL in the new list are those that Indians and particularly people from Punjab do not nominate. The occupations that most Indian applicants nominate are largely untouched in the new list,” Mr Bajwa told SBS Punjabi. On Tuesday, Australian Prime Minister Malcolm Turnbull announced he was scrapping the 457 visas that allowed employers to sponsor foreign workers to work in Australia. In an announcement posted on Facebook, Mr Turnbull said the visas for skilled migrants would be replaced with a new temporary visa with added requirements, including work experience and better English-language skills. The new visa would be "specifically designed to recruit the best and the brightest in the national interest", he said. The announcement follows a crackdown on 457 visas last month, when Immigration Minister Peter Dutton said the Government would scrap the fast-track arrangements in place for 457 skilled work visas for fast food chains. The latest figures from the Immigration Department stated there had been a drop in 457 visas holders in Australia to 95,758 in September 2016. The majority of the visa holders were from India, which accounted for almost a quarter of the intake, followed by the UK and China at 19.5 per cent and 5.8 per cent respectively. "We are an immigration nation, but the fact remains: Australian workers must have priority for Australian jobs," he said. Any applicant who has applied for immigration to Canada has to wait from anywhere between six months to a year in some cases, before they receive a decision on their application. With the introduction of ‘Express Entry,’ the wait time has significantly gone down, but the uncertainty prevails. From the day you file your application, an applicant’s life comes to a stand still. Some applicants have to plan about resigning from jobs, planning for their kids, selling their hours to numerous other issues. All an applicant expects is to know the progress of their application, and watch out for any red flags and take corrective action before any damage is done. The only way to do so is by ordering GCMS notes. While there is ample of information floating on the internet with regard to GCMS, most of it is mere speculation and incorrect. Here is a complete guide to GCMS. GCMS (Global Case Management System) is Immigration, Refugees and Citizenship Canada (IRCC’s) system used to process applications for citizenship and immigration. The system contains a detailed record of each applicant’s file, including correspondence from and to IRCC, documents received from the applicant, detailed notes from the officers reviewing the file among others. With the ability to see what the reviewing officer has written on your file, GCMS notes are the only accurate way of providing an applicant with the in-depth view of his file, thus enabling the applicant to be well informed of the status, or take pro-active steps as needed. Under what law are the GCMS notes issued? The GCMS notes are issued under the Access to Information and Privact Act (AIPT). AIPT is a federal law and any person can get access to information about him from the federal government. AIPT also allows for obtaining the information on behalf of someone else. The biggest drawback is that to apply for information, one has to be a Canadian Citizen or a Permanent Resident. In you are neither, then you can use the services of commercial companies offering to obtain the GCMS on your behalf. Does ordering GCMS slow the processing of the file or affect adversely? The answer is NO. Ordering GCMS is your right under the AIPT. It does not affect your file or your case in any way. On the contrary, in some cases since the officer working on your file has to review your file before it is sent out, does update documents received from other agencies and helps your file move forward. Why can’t I get the same information over email or phone? While email and phone calls are always an option, they do not provide an accurate summary of your file. This is because the customer service representatives can only provide limited information and do not interpret the notes for you. Getting a hold of a representative over the phone is a difficult task by itself. Questions sent out by email are usually replied back generic response, which is more frustrating than being helpful. How can I order GCMS notes? If you are a Canadian Citizen or a Permanent resident you can order the notes for yourself and others, however, if you are not a citizen and neither a PR, you will need a third party to request GCMS notes for you. Which is the best place to oder GCMS notes? This is a matter of personal choice, but there are a few things to keep in mind. We highly recommend https://www.getgcms.com. Our recommendation is based on two main factors, security and ease of use. The information you rely is very important and confidential. Any person in possession with your information can possibly steal your identity. This is why GET GCMS has been designed to ensure a complete secure environment from the time you open the website. GET GCMS is SSL protected, and the payments are made through some of the world’s leading payment gateways. The information entered on the website cannot be hacked due to SSL interface. Further, the information stored and the GCMS notes are handled in compliance with The Personal Information Protection and Electronic Documents Act (PIPEDA). None of these compliance is offered by any other service provider. GET GCMS is easy to use and the entire process is explained on the website in simple language. The website is designed to make it easy for an applicant to understand the information sought, and in case there are further questions, the GET GCMS team is there to help you. While the government only charges $5, why do other service provides charge more? It is true that the government only charges $5 per request, however, there is an additional cost of maintaining the site, employees, compliance with the SSL and PIPEDA, in case of GET GCMS, and ensuring that the information collected always remains safe and secure. This is why these third party service providers charge more. Further, at GET GCMS, we started with a vision to provide more services to applicants and this is the first step. All income generated from GET GCMS, after deducting the costs, will be put into other projects to benefit applicants. There has also been a lot of dubious cases with consultants providing incorrect or incomplete information, so we collaborated with licensed lawyers to provide additional services through the site if an applicant wishes to get them. Why does it take so long to get GCMS notes? Under the Canadian AIPT and Privacy Act the IRCC has to respond to a request for GCMS notes within 30 days. However, 45 days is the average processing time after taking into consideration the workload on different offices and the number of pending requests. Is there a way to expedite the process? Unfortunately no. However, if your case is one where you have initiated a litigation, then IRCC will issue you GCMS notes within 5 days. For all other requests, it takes 30-45 days. How to read GCMS notes? While it is confusing to begin with, but if you spend enough time, it becomes easy as it is your information. Before you even start, it is important to understand how a case file is processed. A detailed information about the process is available at : http://www.canadavisa.com/canada-immigration-discussion-board/-t405705.0.html;msg5254511#msg5254511 . If you need help of a lawyer to understand your notes, GET GCMS offers that service to through some of the leading immigration lawyers in Canada. They also offer 30-45 minutes skype consultations to access your file and advise other avenues to become a PR if your case is not progressing as desired. What is the best time to order GCMS? While there is a lot of difference of opinion in when to order, but the simple answer is after R10 stage. R10 refers to Regulation 10 of the Immigration and Refugee Protection Act. It is a strict review where it is the responsibility of the applicant to make sure that his application is complete. If the application is incomplete, it is rejected immediately and nothing much can be done, except re-filing it. Once your application crosses this stage, which is usually within the first month, that is the right time to order GCMS notes. Demand for H-1B visas in the United States for the fiscal year 2017/2018 has been so high that the programme is already full after just four days, officials have announced. US Citizenship and Immigration Services (USCIS) said it has reached the congressionally mandated 65,000 visas and has also received a sufficient number of H-1B petitions to meet the 20,000 visa advanced degree exemption, also known as the master’s cap. The agency said that it will reject and return filing fees for all unselected cap-subjectpetitions that are not duplicate filings but will continue to accept and process petitions that are otherwise exempt from the cap such as those tied to universities and some non-profit organisations. The H-1B stream was opened just a few days ago for new applications. USCIS uses a lottery style system to determine which applications are selected. These are then subject to review before getting final approval. Previously premium processing has helped applicants receive an answer on their petition much faster, within 15 days as opposed to months. However, USCIS temporarily froze the premium processing option this year in an attempt to reduce overall processing times. The H-1B visa is most commonly used by businesses to employ foreign workers in occupations that require specialised knowledge, however it is facing reform. During his election campaign President Donald Trump called the H-1B a ‘cheap labour programme’ and officials are said to be working on changes. The Government issued guidelines at the end of March requiring more information for computer programmers applying for H-1B visas to prove the jobs require advanced knowledge and experience. Further announcements are expected. The largest number of H-1B applications tend to come from Indian nationals, around two out of three working from global companies such as IBM and Facebook. But Indian firms such as TCS, Infosys, Wipro and HCL Technologies have been reducing dependency on H-1B visas, accounting for less than 20% of visas issued annually. There is also likely to be changes that affect the partners or spouses of H-1B visa holders. Currently they can apply to work under an H-4 employment authorization which was introduced by the Obama administration in February 2015 to try to retain skilled talent in the United States. It was felt that not permitting spouses and partners to work during the long wait for green cards, which can take up to 10 years, was acting as a deterrent to applicants where both partners wanted a career in the US. It says plenty about the state of Australian politics that so much policy is viewed through the lens of Sydney and Melbourne housing affordability. With that in mind, the odds of an immigration cut next month are shortening. The combination of Treasurer Scott Morrison promising to do something about housing affordability in the May budget, negative gearing being off limits, wage inflation remaining stubbornly low, the national unemployment rate stuck in the high fives and the coalition needing to limit the success of minority parties' xenophobia and populism, all make trimming the 190,000 annual permanent migrant places a relatively soft option. Australia's annual permanent migration intake has been held steady at 190,000 for five years. That's the highest ever in absolute numbers – lending itself to claims of record migration – but it's been a declining percentage of our growing total population for the same period. The separate humanitarian program is to be increased to 18,750 in 2018-19 from this year's 13,750 and there's a once-off program for 12,000 Syrian refugees. There's also the sense of waiting for the boot to drop. The government has been considering its migration options for a year now. That's how long it's been since the Productivity Commission (PC) delivered its 13-months-in-the-making Migrant Intake into Australia report. The report was released publicly in September, but the government is yet to respond to its 25 recommendations and numerous findings, including: "7.1 High rates of immigration put upward pressure on land and housing prices in Australia's largest cities. Upward pressures are exacerbated by the persistent failure of successive state, territory and local governments to implement sound urban planning and zoning policies." Note the PC doesn't mention federal government policies exacerbating those same pressures. It also is careful to offer no advice on what might be the best number of permanent migrant places, comprehensively leaving that to the political juggling act: "The commission is of the view that there is no single optimum for the level of immigration and population. The optima depend on a range of factors — including the potential trade-offs that are made across the three domains of wellbeing (economic, social and environmental) and the policy settings that are in place to address the ramifications of these trade-offs. Balancing these trade-offs entails some element of subjectivity. As such, political judgment, and ultimately public accountability, will continue to be important in shaping these decisions. Such decisions should, nevertheless, be as well informed as possible." It is a very delicate area. It's six years since the then-shadow Immigration Minister, Scott Morrison, tiptoed around the numbers back when it was coalition policy to ask the PC to come up with some. The then-Labor government was just as vague. The PC report that was eventually ordered in 2015 wasn't the result of the coalition's earlier policy – it was the price of buying senator David Leyonhjelm's vote for the reintroduction of temporary protection visas for asylum seekers. Along with various other loopy policies, Leyonhjelm wanted Australia to auction off our migration places and the PC was tasked with assessing that. The PC quickly dissed Leyonhjelm's idea but made other recommendations ranging from doubling the $55,000 charge for parent reunion visas to scrapping the two business investment visa programs – channels for millionaires to in effect buy residency. Those sorts of recommendations received the headlines when the report was released, but the bigger policy questions raised by the report were left to languish in the grey area that is population policy. Population is the largely unspoken third arm of economic policy. You could be forgiven for thinking there are only two – monetary and fiscal – but turning on or off the population tap both for permanent and temporary workers can have a large impact on the economy. At a time when monetary policy is close to its stimulatory limit and fiscal policy is strangled by ideology, rating agencies and a lack of imagination, it's arguable population policy could be the key swing factor. For example, population policy played a key role in keeping inflation under control when the resources investment boom was in full swing. The tap was opened up to its fullest extent in more than 40 years as our population grew by 2.1 per cent in 2009. (It's now 1.5 per cent.) The mines sucked plenty of workers to the north and west, but we imported people to fill the worst of the gaps. Migration, both permanent and temporary, helped keep a lid on wages in more areas than mine construction when skill shortages have threatened. More importantly, it has allowed businesses and social services to continue to adequately function. For another example, it has kept our hospitals, nursing homes and country surgeries open. Backpacker visas and the seasonal worker program get our crops picked when Australians aren't prepared to do that kind of hard work for relatively low wages. Targeted permanent skilled migration and temporary 457 visas fill the gaps in our workforce that allow more jobs to be created. Yes, the many imported IT workers keep wages down in the sector, but without an army of programmers and help desk staff, the rest of business would not function and employ other people. At the same time, more people mean more demand for goods and services, creating more opportunities for businesses. As the PC report finds, targeting younger migrants with desired skills in effect allows Australia to steal the investment other countries have made in education and training while lowering the average age of our workforce, thereby increasing and prolonging the taxation revenue. And beyond such measurable numbers, there is the reinvigoration that fresh blood brings to our shores, the fresh eyes that see opportunities and go for them. In the American immigration debate, the disproportionate number of successful companies founded by migrants is commonly cited. That same drive is commonplace here as human beings make the most of opportunities denied them elsewhere. specify that the primary objective of immigration and the Government's population policy is to maximise the economic, social and environmental wellbeing of the Australian community (existing Australian citizens and permanent residents) and their future offspring. a published five yearly review of Australia's population policy. The Australian government should calibrate the size of the annual immigration intake to be consistent with its population policy objectives. The difficult thing for government is developing an explicit population policy without letting loose the darker xenophobic forces. One of former prime minister Kevin Rudd's more unfortunate moments was saying that he was in favour of a "Big Australia" of 35 million people in 2050. Examined calmly, such a number is not a particularly big Australia, but the phrase was quickly disowned by his successors while the nonetheless kept growth on track to get there. The politically attractive aspect of announcing a reduced permanent migration intake now is that any necessary skills shortages can be taken care of via temporary visas while the need to be seen to be doing something about housing demand would still be assuaged. 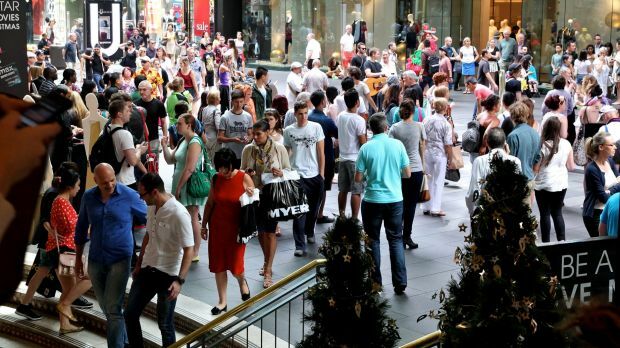 "Immigration, as a major source of population growth in Australia, contributes to congestion in the major cities, raising the importance of sound planning and infrastructure investment. While a larger population offers opportunities for more efficient use of, and investment in, infrastructure, governments have not demonstrated a high degree of competence in infrastructure planning and investment. Funding will inevitably be borne by the Australian community either through user‑pays fees or general taxation." "There are also impacts on the price of land and housing particularly in metropolitan areas. While this is beneficial to property owners, it increases costs and thereby reduces the living standards for those entering the property market. "Sound policies around urban planning and infrastructure investment and effective implementation will remain critical in managing the effects of population growth on the environment, and the associated pressures on society more generally. Given that the bulk of infrastructure investment is delivered at state and local levels, the implications for planning, funding and financing capacities of state and local governments should be considered in determining the migrant intake." "A common concern is that by adding to the supply of labour, immigration can reduce the wages of local workers (or displace them from jobs). This concept of displacement is partly a manifestation of a fallacy that there is a fixed number of jobs in an economy. However, with sufficient labour market flexibility, displaced workers will typically seek and find other jobs, although potentially at lower wages than their previous employment. Offsetting this effect is the increase in demand for local goods and services from new immigrants. Immigrants also may complement rather than displace local workers, improving productivity, particularly when filling skill shortages that are restricting the expansion of firms. The extent to which different types of immigrant labour complement or displace domestic labour is an empirical issue. "Most international studies on the aggregate impact of immigration on the wages and employment of local workers find small (either positive or negative) effects. Invariably, the extent of any displacement depends on the level, timing, geographical location and composition of immigration. It also depends on economic conditions, with high levels of immigration during economic recessions more likely to cause displacement effects, although these dissipate over time. "More recent econometric analysis commissioned for this inquiry found that, at an aggregate level, recent immigrants had a negligible impact on wages, employment and participation of the existing labour force. Increased risk of displacement is more likely at the lower end of the skill spectrum and in the youth labour market. However, youth labour market outcomes partly reflect weak economic conditions in recent years as well as a longer‑term decrease in youth labour market engagement, in part due to greater engagement with education. "Nevertheless, there is little doubt that immigration has boosted the supply of youth labour. During 2015, temporary entrants aged 15‑24 years with work rights (students, working holiday makers and temporary graduates) comprised around half of the growth in Australia's youth labour force. It is empirically difficult to identify the impact of immigration on youth labour market outcomes due to the myriad of factors that affect these outcomes, such as the expansion in opportunity for higher education in Australia. Analysis performed for this inquiry was unable to draw any reliable conclusions." Again, like providing necessary infrastructure, it's a matter of getting the rest of the picture right. And if announcing a trimming of permanent numbers helps the political optics, a government behind in the polls with a rising right wing will be sorely tempted. Identity theft can occur over the Internet or telephone, or via fax or regular mail. Therefore, be particularly wary of unsolicited e-mails, telephone calls or mail attempting to extract personal or financial information from you. No one can guarantee you a job or a visa to Canada. Only immigration officers in Canada, at Canadian embassies, high commissions and consulates can decide to issue a visa. Processing fees are the same for all services provided by Citizenship and Immigration Canada (CIC) whether inland or around the world. We base fee amounts in local currency on official exchange rates. They are the same amount as fees in Canadian dollars. You usually pay fees for Canadian government services to the “Receiver General for Canada,” unless CIC states something different on a visa office website. use free email services, such as Hotmail or Yahoo Mail for official communications. You will find free application forms and guides for all types of visas on CIC’s website. Be careful if the salary of the job you are applying for seems too high to be real. Travellers who apply for an eTA are advised to be cautious in all dealings with companies that claim to offer help in getting an eTA. These companies are NOT operating on behalf of the Government of Canada. Many have established websites that charge a fee to provide information and submit eTA applications. This Government of Canada website is the official place to apply for an eTA. It is easy for criminals to copy a real website or build one that looks professional. Websites may claim to be official Government of Canada sites or their partners. Others may claim to offer special immigration deals or guaranteed high-paying jobs. They do this to trick people into paying them money. Some of these sites may try to get you to give them your private information. This could be used to steal your identity. If the website claims to offer special deals to people who want to immigrate, don’t deal with them. Do not pay for offers of guaranteed entry into Canada or faster processing of your application. These claims are false. Check the address in your browser’s address bar when you land on a website to make sure it matches the address you typed. Never enter private information unless there is a padlock in the browser window or ”https://” at the beginning of the Web address to show it is secure. If a website seems wrong to you, do a Web search to see if anyone has reported any problems with that site. Make sure your browser is up to date. Browser filters can help detect fake websites. Beware of websites advertised in emails from strangers that you did not ask for. Do not give out personal information unless you are sure you know whom you are dealing with. If in doubt, contact the website owner by telephone or email before you do anything. Find out more about who can legally represent you if you choose to hire a representative. You may get an email that looks like it is from a real company or the Government of Canada. It may ask you for private information, such as your date of birth, passwords or credit card details. Sometimes the email will tell you to visit a fake website, such as the ones talked about above. Some people get emails that look like they are from Citizenship and Immigration Canada (CIC). They offer special immigration deals if you give them personal information. CIC will never send you an email asking for your private information. If you get this kind of email, do not click on any links or give any information about yourself. If you have any doubts about the origin of an email, make sure to authenticate the identity of the sender. Please visit the Help Centre page on CIC website to find contact information for the nearest point of service in Canada and abroad. The email is sent from a private address or a free Web mail address (e.g., Yahoo Mail, Hotmail or Gmail) and not from a government of Canada “gc.ca” email account. The email uses a standard greeting such as “Dear customer” instead of your real name. The sender asks for personal information, such as your date of birth, password, credit card or bank details. You did not expect the email. The message is an image instead of text. Note: CIC does not send visas by email. Citizenship and Immigration Canada (CIC) does not telephone individuals for the purpose of collecting money, or a payment, via telephone. While CIC may occasionally contact clients via telephone in order to collect additional information to continue processing an application or with regard to requesting additional documentation, CIC will NEVER ask clients for any sort of payment via the telephone. In addition, CIC does not ask clients to confirm basic personal information that has already been provided on an application form (i.e. date of birth, passport number, etc). Fraudulent telephone scams can result in identity and financial theft. CIC has strong practices to protect the confidentiality of client information. People should be especially aware of scams asking for information such as credit card, bank account, passport numbers and other type of personal information. Anyone who receives a suspicious call should hang up immediately and contact their local police to report the incident or the Canadian Anti-Fraud Centre. For general information on scams, to report deceptive telephone calls, and if personal or financial information has been unwittingly provided, go to the Royal Canadian Mounted Police Web page. To find more on how to protect yourself from fraud, see Protect yourself from fraud. Individuals who charge for representation on Canadian immigration files must be authorized to do so. If an individual is not properly authorized, it is illegal for him or her to charge another person for representation. See below for information on performing due diligence when retaining the services of a Canadian immigration representative, as well as information on detecting fraudulent job offers. Legal representatives and consultants may provide services such as the review, preparation, and submission of documents, and communication with provincial and federal governments. Individuals considering immigrating to Canada should note that hiring a lawyer, consultant, or representative is not required in order to apply for Canadian permanent residence or a temporary permit in Canada, such as a study or work permit. The system is designed so that individuals and families may undertake the application process by themselves. However, many people find that a legal representative can provide valuable assistance with documents, eligibility, and any other issues that may arise during the processing of an application. In certain cases, such as the improper refusal of an application or unreasonable delays in processing, an individual may consider making an appeal to the Federal Court or Immigration Appeals Division. In such a situation, it may be wise to consult an authorized immigration lawyer or consultant. Before engaging a lawyer or consultant, it is important to verify that the individual or firm is properly authorized by the relevant authority. Lawyers or notaries must be a member of a Canadian provincial or territorial law society, or the Chambre des notaires du Québec. In Ontario, paralegals must be members of the Law Society of Upper Canada. Individuals who are considering engaging a representative are advised to check online to see if a member of a society is in good standing. Obtaining a job offer in Canada is an important step of the immigration process for many potential immigrants to Canada. Certain Provincial Nominee Programs (PNPs) require a potential applicant to obtain a job offer in order to become eligible for provincial nomination. Furthermore, candidates in the Express Entry pool with a qualifying job offer may obtain 50 or 200 points under the Comprehensive Ranking System (CRS). Consequently, a qualifying job offer can improve a candidate’s chances of receiving an Invitation to Apply (ITA) for Canadian permanent resident status. Unfortunately, scammers have been known to take advantage of individuals seeking a job offer from a Canadian employer. It is crucial to verify the authenticity of a job offer, as the consequences of presenting a fraudulent job offer may be serious. Individuals who misrepresent themselves or their situation on an immigration application — even if advised to by a representative — may be found inadmissible to Canada and banned from submitting another application for five years. Here are some tips for distinguishing real job offers from potential scams. Do some research on the company and the person who contacted you. If a company does not have a website, it may be fake. If the company’s website has contact information, search this separately online. Look at the email address of the person who contacted you. Reputable recruiters and employers will have corporate email addresses. If you see an address from a free email provider such as Gmail, Hotmail, or Yahoo, the job offer is likely fraudulent. A reputable recruiter or employer will never ask for payment upfront. If someone is asking for a deposit, training fee, or money to cover costs such as work permit or visa fees, it is wise to consult a third party representative about the offer. Canadian companies very rarely hire without an interview or phone conversation. If you have only communicated by email with a potential employer who does not want to meet face-to-face, it is likely a fraudulent offer. If an offer seems too good to be true, it probably is. Common scams include the promise of permanent immigration, free travel, or highly-paid work-from-home schemes. Individuals who receive a job offer that seems fraudulent are encouraged to directly contact the company named on the job offer to verify its authenticity. Alternatively, it is also possible to consult an authorized representative regarding potentially fraudulent job offers. As of April 1, 2017, applicants to two popular immigration streams of the Saskatchewan Immigrant Nominee Program (SINP) will be required to pay an application fee of $300 CAD when submitting the application. The fee will be mandatory for applicants to the International Skilled Worker: Saskatchewan Express Entry sub-category and the International Skilled Worker: Occupation In-Demand sub-category. Both of these SINP sub-categories have opened for new applications on numerous occasions since they were introduced in 2015. Typically, intake quotas for these streams fill within a few days, or even hours on occasion. These sub-categories target newcomers who have work experience in an in-demand occupation. Moreover, no job offer is requiredfor either sub-category. Through this enhanced sub-category, eligible candidates in the federal Express Entry pool may apply for a provincial nomination certificate from Saskatchewan. A provincial nomination certificate through this sub-category gives the candidate 600 additional points under the Comprehensive Ranking System (CRS), and that candidate will then be in line for selection at a subsequent draw from the pool. Learn more about eligibility requirements for the SINP International Skilled Worker: Express Entry sub-category. This base sub-category is for skilled workers who have experience in one of Saskatchewan's in-demand occupations. Applications to this sub-category are processed outside the Express Entry system. Learn more about eligibility requirements for the SINP International Skilled Worker: Occupation In-Demand sub-category.